Pseudopodoces humilis Hume, 1871, Sinkiang. Probably monotypic. English: Little ground-jay, Tibetan ground-jay, Hume's groundpecker; French: Podoce de Hume; German: Hohlen-haher; Spanish: Arrandejo Terrestre de Hume. 7.4 in (19 cm); 1.47-1.61 oz (42-46 g). The soft, slightly fluffy body plumage is dull brownish above and off-white below. Wings are darker brown and the tail is white with dark brown central feathers. 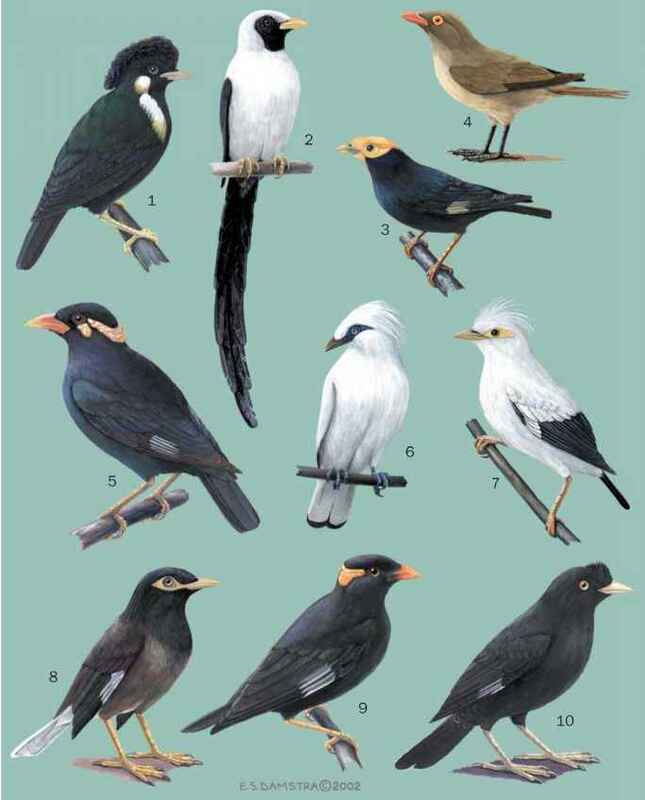 The black bill is short, thin, and distinctly curved. Legs and feet also are black. Hops and perches between boulders, flicking wings and tail on landing. Digs long tunnel in bank, wall or building to build grass and moss nest at end. Lays four to six eggs May through June. Incubation and fledging periods unknown. conservation status Not threatened; common.